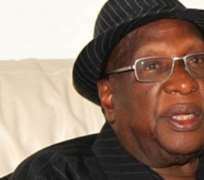 Reports indicate that a major crack has emerged among members of the G7 governors rallying against the mainstream Peoples Democratic Party (PDP) led by Alhaji Bamanga Tukur. According to the reports, the Alhaji Abubakar Baraje-led New PDP has split, with four of the G7 governors said to be considering a return to the main PDP. A TRIBUNE report particularly gave indication that the crack came to the fore with the current jostling for the nomination of persons to occupy the ministerial slots recently vacated by ministers edged out in a cabinet reshuffle by President Goodluck Jonathan. According to the newspaper, while a section of the G7 governors favoured the decision to go all out and get their preferred choices into ministerial posts, others would rather maintain their intransigence. Quoting sources said in Abuja, on Sunday, the paper reported that the G7 governors and their loyalists were sharply divided over the need to lobby for ministerial slots in the soon-to-be constituted Federal Executive Council (FEC). The paper learnt that while some of the G7 governors had started lobbying administration officials for their favoured hands to get ministerial slots, others believed that since they were involved in a battle against the mainstream PDP, they should not talk of the ministerial slots for now. Four of the governors were said to have expressed disagreements with the need to shun lobbying to get their favoured ministerial slots, as they were said to have argued that an unfavourable minister could be used to destabilise their states. It was learnt that the G7 was also worried that President Goodluck Jonathan appeared to have lost interest in the peace efforts aimed at resolving the logjam. It was learnt that at the last meeting, the president did not show any commitment and only asked that the meetings be put off indefinitely. He was said to have raised the issue of hajj and the Christian pilgrimage to indefinitely postpone the meetings. According to a source within the splinter group, 'the fight for internal democracy that we waged against the Alhaji Tukur-led PDP and President Jonathan is not a personal one; we all have our personal relationships with either Tukur or the president; but a situation where some people, because they have access to the Villa, will go in to meet with the president and table their personal matters will only whittle down our fight. It was also gathered that the Adamawa State governorship struggle between Governor Murtala Nyako and Alhaji Tukur's son, with the senatorial ambition of the Niger State governor, among others, were among reasons for the crisis in the new party. Meanwhile, a source has said there is no likelihood of meetings between the president and the G7 governors resuming before December and that the government may seek a further postponement, since activities for the centenary celebrations would have heightened at the time. The president, it was learnt, would spend close to 10 days in Israel for this year's pilgrimage, while activities for 2014 budget would take his attention on arrival. Besides, sources said the centenary celebrations would also take the front burner after the budget was presented, meaning that the issue of reconciliation might have been foreclosed. Sources also said the police and other security agencies were to be on the alert, to enforce the decision of the Independent National Electoral Commission (INEC) and the Lagos court, which failed to confer any legitimacy on the new PDP agitators. 'In line with the rule of law, the security agencies are to ensure everyone obeys the lawful orders as contained in the position of INEC on the New PDP, as well as the Lagos court, which rejected the body,' a source said, adding that all offices of the new PDP anywhere in the country could be closed down summarily, since the group remained an illegal body. Efforts to speak with the spokesperson of the New PDP, Dr Chukwemeka Ezeife, over the development failed, as his phone was not going through, but a chieftain of the group confirmed the story in confidence with the Nigerian Tribune on Sunday. Court'll compel INEC to recognise us -New PDP The Baraje-led New PDP has expressed disappointment at the refusal of INEC to recognise it, vowing that the judiciary will compel INEC to reverse itself. In a statement signed by its publicity officer, Chief Ezeife, the party said 'we are expectedly disappointed, but we thank God that the constitution of the Federal Republic of Nigeria recognises our right to associate amongst ourselves. On the sealing off of its secretariat, the group alleged that the action of the Federal Capital Authority amounted to attack on the people of Adamawa State and demonstrated lack of understanding about the status of a governor's lodge. 'We advise the minister to, within 48 hours, not only apologise to the people and government of Adamawa State, but to also unseal the lodge, which serves as our temporary national secretariat, following the sealing off of our national secretariat by the police,' the statement said.